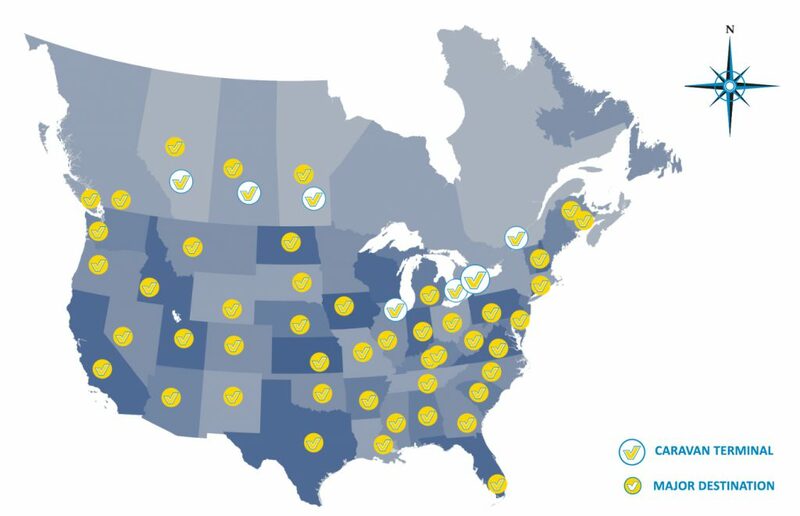 The following service map outlines our terminal locations and major destinations. Caravan Group of Companies transports freight across Canada and the United States. Request a rate from us today!